1. Armed Forces Museum, Taipei, ROC. 2. 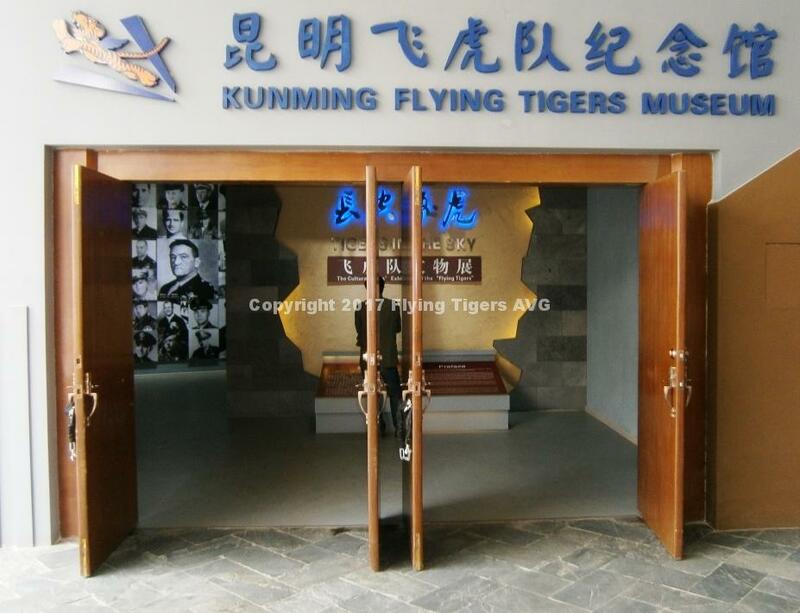 The U.S. Air Force in Ching Chuan Kang AFB Footprint Museum, Taichung, ROC. 3rd TFW. 2. Brig. Gen. James H. Howard MoH USAF display at the St. Petersburg-Clearwater International Airport, Pinellas County, FL. 3. George Bray McMillan display at The Citadel in Charleston, SC. 1. Lt. Gen. Claire Lee Chennault display at ROC Air Force Base, Taiwan. 10. The Madame Anna Chennault Museum & Collection – Washington, DC 11. The National Museum of the U.S. Air Force & Archives – Wright-Patterson AFB, Dayton, OH. D. DOGFIGHTS: The Flying Tigers (2006) – produced by Digital Ranch. E. 14th Air Force (2009) – Victory Films (Lars Andersen) – collection of newsreels & George “Pappy” Paxton’s films. F. “Missions that changed the War” (2011)- The Flying Tigers Parts 1-4, The Military Channel, Sleeping Dog Productions. B. GOD IS MY CO-PILOT (1945) – starring Dennis Morgan as Col. Robert L. Scott, Jr.